For the longest time, I've been resistant to the idea of getting into a habit of reviewing discontinued fragrances. Besides my own personal feelings about showoffs who feel the need to constantly brag about all the "vintage" or discontinued fragrances they own, I've seen little point in reviewing something that no longer exists. Having said that, I have to admit that I'm starting to have a slight change of attitude about reviewing discontinued perfumes. That's because there are a lot of discontinued frags that still do exist, whether it be on eBay or in the old inventory warehouses of online retailers. Though I don't often go shopping for old discontinued fragrances, I do buy them from time to time, and I'm sure many of you do too. As I continue to build this blog, I've been inspired by a lot of your comments, particularly those of you who have told me that you find my reviews helpful. With that in mind, my ultimate vision is for Pour Monsieur, ideally, to become a sort of personal and virtual encyclopedia of men's fragrance reviews, as a source you can turn to for learning something about scents that few others write about. This is where reviews on discontinued fragrances fit in. For example, one day you may find a fragrance for sale online that you've never heard of, not even realizing it's been discontinued because you can't find a review of it anywhere. 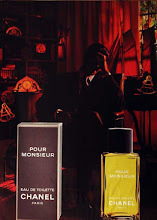 My hope is that you'll be able to turn to Pour Monsieur and find a review of that fragrance, so that you can make an informed decision on whether or not you'd want to buy it. That's my dream for this blog. I know this is an ambitious goal, and I know I'll never reach it, but so far it's what's kept me going at this. A lot will depend on my getting a steady flow of new samples, since there's no way I can afford to buy bottles of everything I review. I'm still going to focus primarily on designer and drugstore fragrances, since there are enough blogs already that cover niche fragrances; I'll still post niche reviews, but my general lack of enthusiasm for niche perfumes makes it hard for me to feel inspired to sample and crank out a lot of reviews on them. One thing I will not change is my focus on reviewing current formulations of perfumes that are still in production. The only reason I'd post a review on a so-called vintage version of a perfume would if it's the only version I have available. 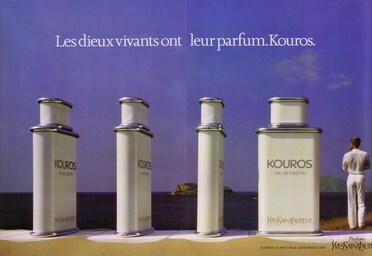 I own plenty of bottles of old versions of fragrances, but who cares? What's the point of my reviewing those? So I can rain on your parade and ruin your enjoyment of the updated versions you've been wearing all this time? Lord knows there's enough of that horseshit on the perfume fan websites and blogs. You don't need more of it here. For me the major problem was figuring out how to identify the original version, not that they were hard to get at a reasonable price (usually on ebay). In some cases I just took a chance, and fortunately I was usually correct. I put in a lot of time into this endeavor, and I'm sure there is plenty I don't know. It's also possible that some vintage "jus" (liquid) is to be found in some of the new style bottles (and vice versa). When I first read about reformulations being "bad" on BN, I dismissed it as a few people being too picky. It was my nose that eventually told me they were right, in general of course. This is why my blog has been more focused on general ideas rather than "reviews" of specific fragrances. I've also noticed that I don't always recognize the same notes during every wearing (and the bottle is the same), so to me "objectivity" is impossible. On fragrantica (where I now put almost all my reviews), I like to try and explain the difference between different versions, if that is applicable. Then people can decide for themselves. However, with very few exceptions, I no longer have any interest in wearing the reformulations, mainly because the base notes tend to be low in quality and/or "generic." For me this hobby is about pleasure, and that kind of base ruins the experience. Often, I'll wander around in stores with no intention of buying anything just to stay current with what's available and and to store up knowledge for future referencing. I visit your blog frequently for the same reasons. Being female, I don't wear most of what you review, but the writing is excellent and I like to be ready in case friends ask for perfume recommendations. My motto is "be prepared"! Well thank you, I'm flattered. It's a difficult subject - the whole reformulation issue. I've been guilty of weighing in on certain debates about 'is the so-called vintage better than the current juice' though not from a 'showing off' point of view. There are a handful of frags which I love and know well enough to have made me intrigued about smelling older bottles, ie: Zino, Quorum, Boss No.1, Oscar Pour Lui, and, being a tight-arsed Yorkshireman, I've never payed much for the privilege!! The results are typically mixed, I bought a foul smelling Oscar and a great smelling one and, on balance, I prefer the current one and wear it more! Zino - new & old - much the same. 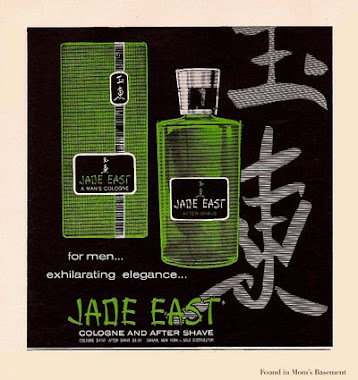 Endless searching for 'vintage' versions of fragrances will probably end in tears of frustration and disappointment as the differences, in my experience, are usually negligable. I can't say that it's pointless to make comparisons between versions, especially since there are still lots of vintage bottles available online and people are buying them. In fact, it does make for some interesting discussion. I just think there are some people for whom it's a preconceived notion that they are NOT going to like a reformulation, before they even try it. How can you have any credibility if you automatically dismiss a reformulation before you try it? Oh yeah, forgot to say, keep up the good work - I really enjoy this blog and appreciate the time you must put into it. This is what happens when you've sampled hundreds of fragrances over the years - you start distinguishing niche vs. designer vs. drugstore. It's better not to get hung up over labels, though I find myself guilty of that many times. 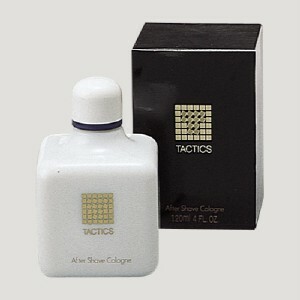 I'm fifty and like many members here I've have been wearing cologne since my mid-teens (ahem...for decades). In youth it was easy to look forward with anticipation as that's where 'everything that was anything' was going to be. "New" was what mattered. Not so much anymore. Now I want a lot of the fragrance world that was back then back again, which isn't going to happen and shouldn't, and that's okay, new releases occasionally come along that surprise! At least what I do have here at Pour Monsieur (and with BN as well) are resources for checking out original releases I may occasionally have an opportunity to acquire, and yes reformulations, too. Great site and it's on my 'daily visit' rotation! 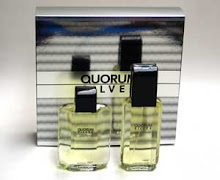 I think most new fragrances are marketed to younger guys who might care more about rocking the coolest new frag, rather than guys who are over 40 like us. If you're 50, then stuff like Lagerfeld Cologne was probably the newest coolest thing for young guys when you were a teen. Nowadays, I'd think most teenagers would laugh at Lagerfeld, and now Lagerfeld is considered old school. Yet we keep wearing it. I wouldn't be surprised if the 22 year old guy wearing Ed Hardy today will still be wearing it when he's 42, searching for old bottles in the future. It seems that the BN/Fragrantica world will always be divided between those who think the reformulations are just fine and those who think they are unwearable. That is opinion and everyone is entitled to their own. What I wish one of us could do is test fragrances like Zino (using gas chromatography?) to determine beyond any doubt whether there is substantial sandalwood in the original and minimal or none in the new one. If that is the case, then the difference is likely that some people are keying in on the top notes whereas others are more sensitive to the base notes. This is what I think is occurring, and in fact in some cases, such as Giorgio for Men by Giorgio of Beverly Hills, it seems like the top notes are considerably stronger in the new formulation (with really weak/generic base notes). You're right, everyone is entitled to like what they like. What gets me upset is when someone posts about how much he likes the current version of a fragrance, only to have some wise guy cut in an tell him that what he's enjoying isn't good at all because he isn't wearing the vintage version. It's one thing for someone to express his opinion, but quite another to ruin another person's enjoyment of a scent. It's just being arrogant. 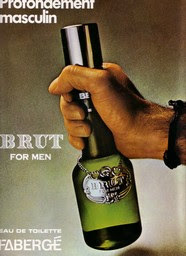 I still can't forget the thread on basenotes where I was talking about how good Brut Classic smells, and some guy cut in trying to convince me that what I liked wasn't very good at all, and that I had no clue about what the vintage Brut smelled like (even though I own three vintage bottles of Brut, all from different years). It's crap like which is why I don't post on basenotes much anymore. Since you're an Avon fan, have you smelled STARRING for men? It's discontinued (as far as I know) but it's as good as anything in Avon's lineup apart from Black Suede. Never tried it or heard of it. I'm pretty new to the whole Avon line, not even smelling my first Avon men's fragrance until about a year and a half ago, two years.